A new report reveals a deepening crisis for democracy as digital media hasten the decline of print. Evidence of the slow death of the American newspaper has lost its news value in recent years, rather like evidence of the warming of the earth’s atmosphere. As with global warming, we know what we’re losing but remain paralyzed, unable to take significant steps to stop it. The topic comes up on certain occasions: when a media company sees its stock tumble, lays off a significant percentage of its employees, tries (and often fails) to sell itself, merges with another conglomerate to increase “efficiency,” pretends to be some other kind of company with a hipper brand, hires a CEO famed for his or her “turnaround” capabilities, or hands pages over to a right-wing billionaire to use as a daily propaganda pamphlet. Otherwise, the news is like the weather: It’s getting worse and worse, and yet life goes on as if none if this is really happening to us. But it is. Since the Pew Research Center took over the extremely useful “State of the News Media” reports, the annual examination of industry trends has come to function like a doctor who reminds her patient that no matter how well he may feel, the cancer inside is spreading. The numbers this year, however, show a disease in the process of metastasizing. According to Pew, the circulation for daily newspapers, including digital readers, fell 7 percent last year, and advertising earnings among publicly traded companies fell almost 8 percent. It was the industry’s worst year since 2008, but this time there was no recession to blame. As with global warming, we know what we’re losing but remain paralyzed, unable to take significant steps to stop it. As a result of these trends, reporting staffs are shrinking and sometimes disappearing. Editorial staffing has decreased nearly 40 percent over the last 20 years, and the most recent figures show a 10 percent drop in 2014 alone. In other words, the end is near—much closer than almost anyone anticipated when media analysts like me began announcing the death of the American newspaper about a decade ago. We’ve known the reasons for the decline for a long time. The migration of news to the Internet destroyed the industry’s business model, in which readers were attracted by the “pudding” (sports, gossip, gardening tips, and comics), and advertising paid for the unprofitable reporting on “spinach” (war, disease, corruption), with no ability on the part of the advertisers to determine which of their ads led to which sales. Those halcyon days ended with the advent of targeted ads on websites that could be directly traced to sales via the click-through—to say nothing of the migration of classified ads to Craigslist, which cost the industry $5 billion just between 2000 and 2007. While newspapers were trying to manage the “transition” to a Web-based delivery system, in which advertisers now pay a fraction of their previous fees to reach readers, social media provided another punch to the gut: The ad money that used to support the news business has now migrated there. Just five companies today account for 65 percent of all digital advertising. And the rich are getting richer and richer: Between them, Facebook and Google swallowed up more than 76 percent of all digital-ad growth last year, as newspaper digital advertising continued to fall both in real terms and relative to the competition. these days are either cannibalizing newspaper reporting, commenting on it, or making stuff up. And as these sources come to dominate public discussion, verifiable truth becomes harder to find, while lies and other forms of misinformation become easier to exploit. In past columns on this topic, I’ve looked to foundations and universities to help restore a base of honest, tough-minded reporting that could serve both the watchdog and public-discussion functions that newspapers have historically provided. Some have made important contributions: The MacArthur Foundation deserves special kudos for its recent injection of $25 million in unrestricted grants to public and independent media. And the Web has yielded a number of somewhat specialized publications that do real reporting and seek to stimulate sensible debate. But the trends at work have proven so swift and strong that the prospect of finding a system-wide solution is now beyond any realistic hope. 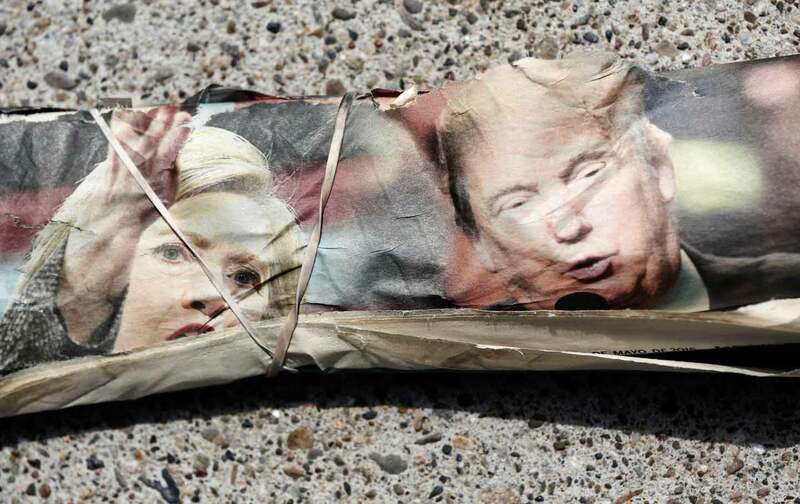 The message of this year’s “State of the News Media” report is that we need to prepare for a post-truth political world, one in which Donald Trump should be considered a frightening avatar of a future—no matter how badly Hillary Clinton beats him in November. As with the battle to save the planet, the hour is late and time is short. Given the resources we possess and the severity of the threat, history will not easily forgive—or even understand—our complacency in the face of this foundational democratic crisis.